James Guy continued his breathtaking form at the British Swimming Championships 2017 with his third gold in four days. The double Olympic medallist had already picked up the 400m Freestyle and 200m Butterfly titles from the first two days in Sheffield. And he completed a hat-trick of golds with a confident performance in the 100m Butterfly. “That felt really good tonight,” said Guy. “It just felt so strong towards the back end. “I knew if I went out hard and was with the guys at half-way, I would have a good chance of winning tonight. The 21-year old is better known for his exploits in the freestyle, having won the 200m Free title at the 2015 World Championships. But the Bath University swimmer has plenty of international experience in the butterfly events. He moved to second in the British historic rankings with a 51.78 effort in the semi-finals of the Rio 2016 Olympics last summer. 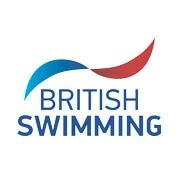 He also swam the fly leg as Team GB picked up 4x100m Medley Relay silver in the last day of pool swimming at the Games. And Guy has continued to improve his fly this season, backing up his PB in the 200m with another lifetime best in the 100m final. The young Brit clocked 51.52 in Sheffield, pulling clear of Loughborough University’s Adam Barrett (52.13) and Scotland’s Duncan Scott (24.96) in the last 25m. The time edged Guy closer to Michael Rock’s British record 51.41, set at the 2009 World Championships in Rome. It also landed him a third consideration qualification time for this year’s Worlds in Budapest, with Guy’s favourite event – the 200m Free – still to come in Sheffield.